Education Week aims to celebrate strengths, achievements and excellence in education through open days, exhibitions and special events. 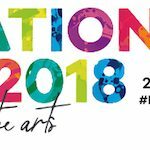 This year, Education Week 2018 will celebrate the arts and is an opportunity for schools to showcase the work they are doing for students in arts subjects including dance, drama, music, visual arts and media arts. Our 2012 Christmas Concerts take place next week with the year Prep – 2 concert on Wednesday December 12th and Years 3-6 on Thursday December 13th. Both concerts will start promptly at 6.00pm so please be on time.